Happy 2019! With every new year and season comes new trends that you’ll be seeing plenty of, reading about, and in this case receiving. These aesthetic treatments are some of the buzziest treatments available right now, and for good reason. We discussed all about tweakments in our previous blog post, but if you missed giving that a read here’s the breakdown. These fast treatments, aka tweakments, are quick procedures that generally require no downtime, no anesthesia, leave no scarring, and are no more invasive than a needle. Plus, you can get them done in a time period as fast as your lunch break. What could be better! Fillers: You can have a more defined nose, jawline or cheekbones thanks to facial fillers, which can also help restore volume to your fine lines and wrinkles. CoolSculpting: Your stubborn body fat is a thing of the past thanks to CoolSculpting which targets your unwanted fat and freezes it away, most commonly performed on your abdomen, outer/inner thighs, upper arms, flank, and chin. Microdermabrasion: If your makeup just isn’t applying smoothly on your skin, it might be time for a heavier duty in-office exfoliation treatment, such as microdermabrasion, which will leave your skin looking and feeling its best. Laser Hair Removal: Especially in Miami, every day is a chance to show your skin, and after a few rounds of laser hair removal, you’ll never have to worry about razor burn or ingrown hairs again. 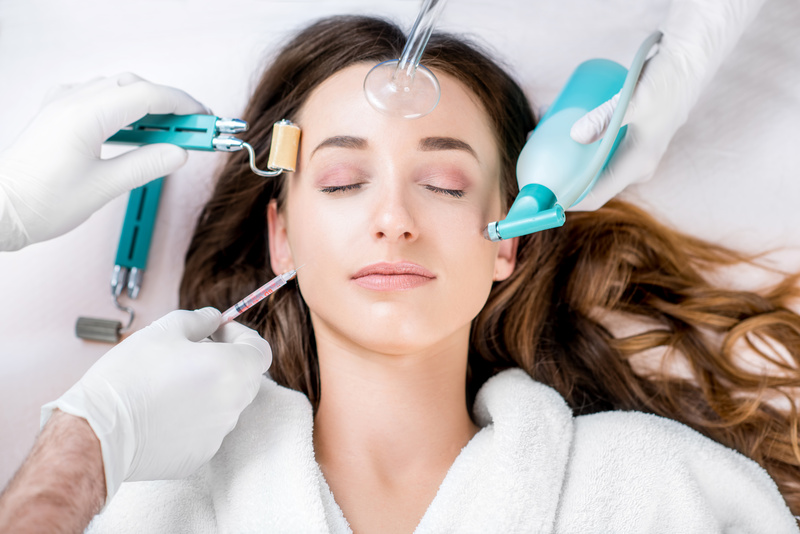 Like microdermabrasion, treatments that go beyond your typical facial are trending this year to give you an even better complexion without trying a ton of different skincare products. Platelet Rich Plasma (PRP): A PRP facial injects blood platelets taken from your drawn blood back into your skin via microneedling to repair damaged cells and promote new cell growth. Microneedling: This minimally invasive treatment rejuvenates the skin via tiny punctures in the top layer of skin to create new collagen and elastin, reducing the appearance of pores and scar sizes over time. Chemical Peel: Peel away the top layer of your skin and say goodbye to hyperpigmentation, sun-damage, and the appearance of fine lines and wrinkles, leaving you looking more radiant than ever. CO2 Laser Skin Resurfacing: Light energy triggers the skin’s natural healing process through microscopic damage to regenerate the skin and reduce the appearance of acne scarring, age spots and more. Maria Tettamanti experienced an entire week of beauty using her CosmeticPerks membership for Ocean Drive’s January issue. From CoolSculpting to an injection of Juvederm Ultra Plus, all services were performed by Miami-based cosmetic providers. As a member of CosmeticPerks, you are eligible to receive 20% off these trending treatments and other noninvasive procedures, plus products. If you are not yet a member of CosmeticPerks become a member today. JOIN NOW!